Welcome to the official site of the Filariasis Research Reagent Resource Center. Stable integrative transfection of Brugia malayi is here! We want to announce that after over 20 years of trying, we have finally developed a method for efficient stable integrative transfection for Brugia malayi! The breakthrough was co-culturing the L3 through the L4 molt in the presence of BESM cells. Thanks to Sara Lustigman for making this suggestion, which was based on her work with O. volvulus. The method is based on the piggyBac transposase/transposon system that results in semi-random integration of sequences into the B. malayi genome at TTAA sites. We have published a description of the method this summer (Liu C, Mhashilkar AS, Chabanon J, Xu S, Lustigman S, Adams JH, Unnasch TR (2018) Development of a toolkit for piggyBac-mediated integrative transfection of the human filarial parasite Brugia malayi PLoS Negl Trop Dis 12:e0006509) and a detailed protocol is available from protocols.io at https://protocols.io/view/brugia-malay-transfection-nrtdd6n and from the FR3. 1. pBmCDTH: a plasmid encoding the piggyBac transposase driven by the BmHSP70 promoter. You need this one to get integration of your constructs into the genome. 2. pBACII-BmGLuc-MCS: The basic PiggyBac plasmid. It has the piggyBac ITRs flanking an integration cassette containing the GLuc secreted luciferase selectable marker, whose expression is driven by the BmHSP70 promoter and UTR. It has a multiple cloning site wafter the selectable marker cassette. You can clone your gene of interest with its promoter, ORF and UTR into the MCS. 3. pBACII-BmGLuc-GFP-Bmrps12. The pBACII -BmGLuc -MCS with a GFP ORF flanked by the Bmrps12 promoter and Bmrps12 3’ UTR. This makes nice green worms for a positive control. 4. pBACII-BmGLuc-YFP-Bmrps12. As #3 with YFP instead of GFP for making yellow worms. 5. pBACII-BmGLuc-CHR-Bmrps12. 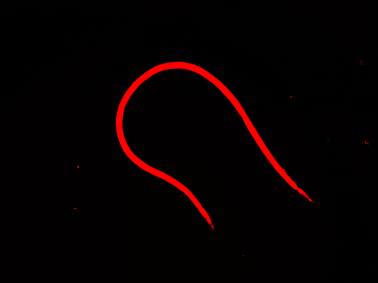 As #3 with CHR instead of GFP for making red worms. 6. pBACII-BmGLuc-GFP (promoterless): As #3 but without the Bmrps12 promoter and 3’ UTR. For cloning any promoter and 3’UTR you want to test for spatial and temporal expression studies. Look at the map for #3 and just mentally delete the Bmrps12 promoter and 3’UTR and you have it. The GFP ORF is running clockwise and is cloned into the Mlu1 site of the MCS. Note that the GFP ORF has a Bgl II site in it, so you cannot use the Bgl II site in the MCS for cloning anything downstream of the GFP ORF. 7. pBACII-BmGLuc-GFP (promoterless): As #4, but without the Bmrps12 promoter and UTR. Again the YFP ORF is cloned into the Mlu1 site running clockwise. 8. pBACII-BmGLuc-GFP (promoterless): As #5, but without the Bmrps12 promoter and UTR. Again the CHR ORF is cloned into the Mlu1 site running clockwise. This system is great for knocking in genes but cannot target specific sites in the genome for knock in or knockouts. For this, you need a CRISPR based system. We are making the constructs needed for CRISPR right now. Look for it to be available through the FR3 in about a year! For ordering plasmids, please contact Steven Williams at genome@smith.edu. For other questions, please contact Shelly Michalski at michalsk@uwosh.edu. Models and Nomenclature for Cytoplasmic Incompatibility: Caution over Premature Conclusions - A Response to Beckmann et al.